The DOC Internship Programme is celebrating its fourth successful year as the interns near the end of an exciting summer. 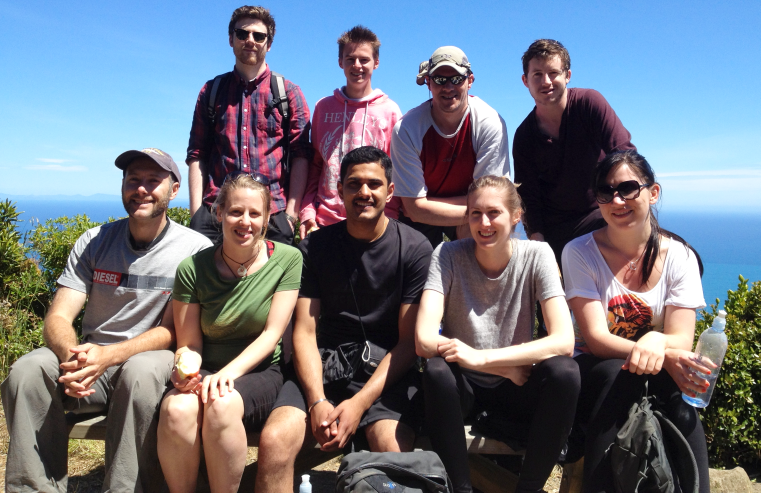 A major highlight of the National Office summer interns’ time at DOC was the opportunity to spend two days in the field on Kapiti Island. 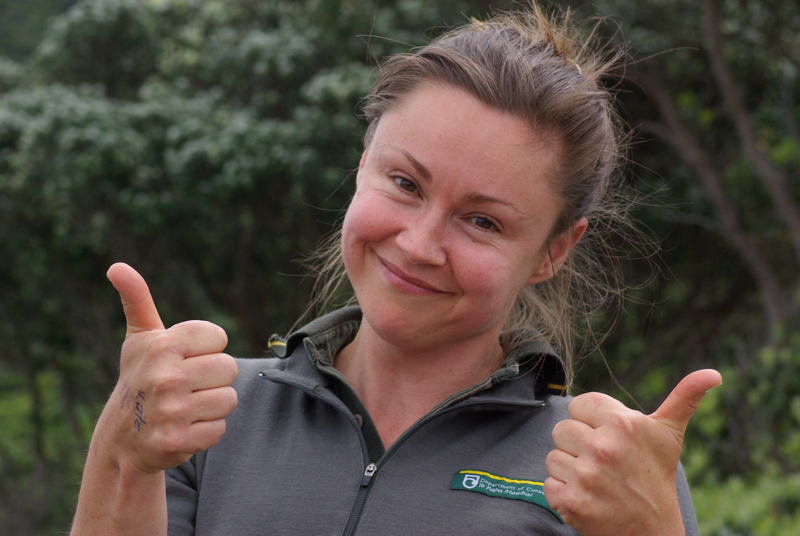 Hamish Coghill presents an overview of what the interns got up to while on Kapiti. The intrepid interns braved early starts to carpool up to the Kapiti Coast on a bright December morning to catch a morning ferry out to Kapiti Island. After ambling through the dunes to the breakers upon a giant trailer behind a tractor, our boat pushed its way out into the channel between the mainland and the once-island fortress of Te Rauparaha. Meeting us on the shore was DOC ranger, Genevieve Spargo (Gen), who welcomed us all ashore and arranged for our overnight stay in ranger accommodation. 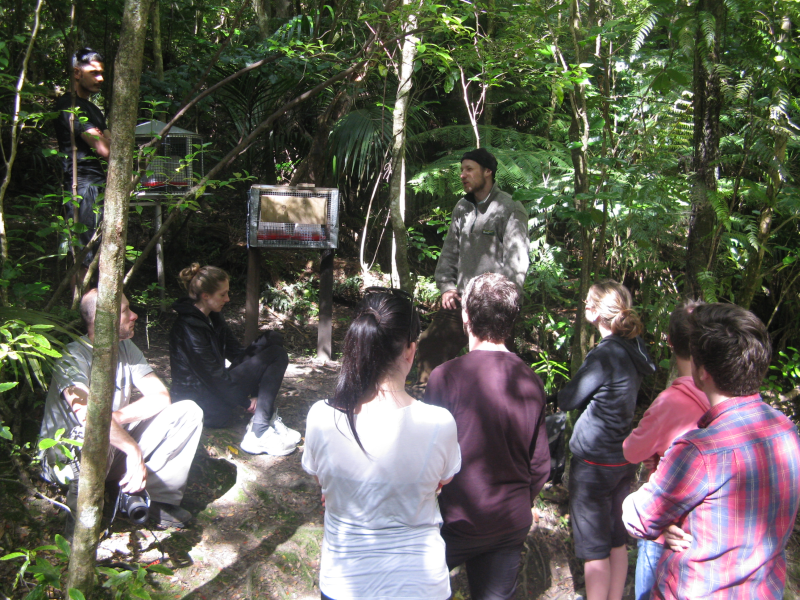 Providing an introduction to the island was a local iwi representative, who explained some of the Māori history of the island as well as introducing many of the rare and wonderful species that seem to exist on the island in abundance. While those members of the public on a day trip headed off up the tracks to the summit, the interns—accompanied by staff from DOC National Office, Arshdeep Singh (intern coordinator), Shannan Mortimer (Capability Development Advisor), and Peter Hiemstra (Geospatial Analyst)— who demonstrated that National Office softies aren’t ones to shy away from a bit of hard yacka, and got to work pruning back some of the overgrown foliage along one of the tracks. A beach cleanup later that day was also undertaken by the group, filling a number of large rubbish bags with various items. With night closing in, the group was led by Gen to observe some of the local nocturnal wildlife. Attempts were made to locate a kiwi whose calls were heard close to the houses, but to no avail, and a little blue penguin nest that smelt like a sardine factory was also unfortunately without its occupiers. However, the group was lucky enough to see the return of a couple of the penguins from a hard day fishing at sea, as well as spotting a number of rare geckos lounging in the flax bushes. 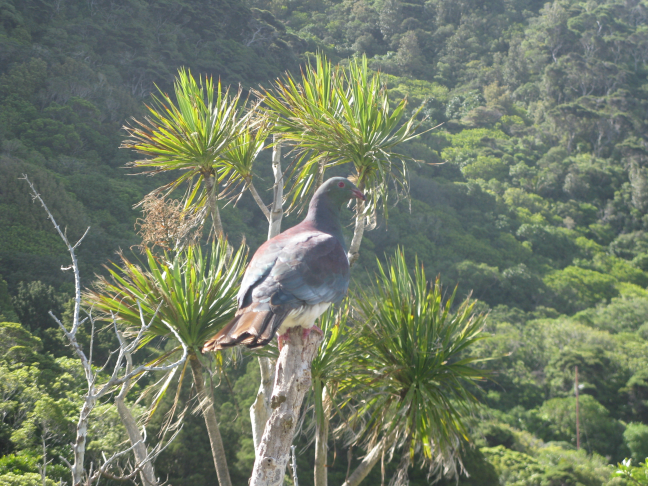 On the second day the group headed up the track to the summit of the island which teemed with rare native bird life including saddleback, kaka and kōkako. Along the way, DOC ranger Eric introduced us to his work in trying to support the very threatened and fragile population of hihi. This involved regular monitoring and provided what seemed a very popular food supplement in sugar water. At the summit of the track we were treated to stunning views out across the Cook Strait to Marlborough and up the West Coast to Mt Taranaki. After descending from the summit of the island, the group made its way back to the ferry pick up point and said its goodbyes to the island staff after a wonderful stay, before making the trip back over across the channel to the Kapiti Coast and back home to Wellington.